Lavender & Chamomile Massage & Body Oil is delicately blended with 100% natural pure essential oils. 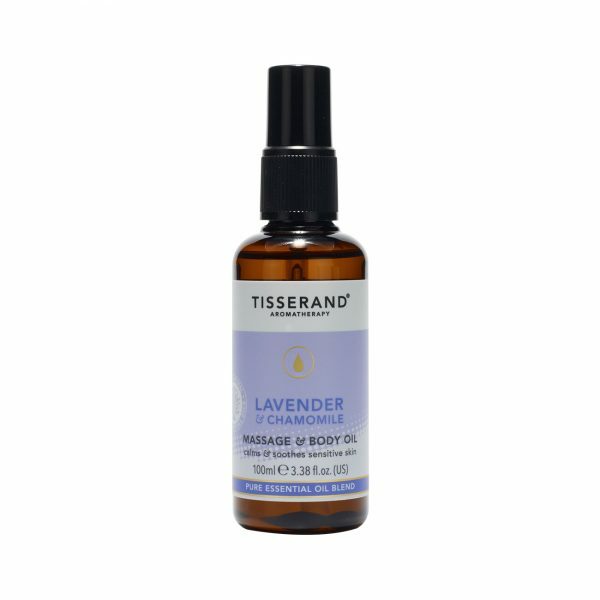 Soothe & support dry, sensitive or reactive areas of the skin with this kind & nurturing blend combining Lavender & Chamomile essential oils with hydrating Jojoba and Sesame oils. After a bath or shower, warm oil between your palms & massage into the skin with gentle sweeping movements, paying special attention to dry, sensitive or reactive areas of the skin. Gently moisturise sensitive skin with this soft blend of calming and caring 100% natural pure essent..